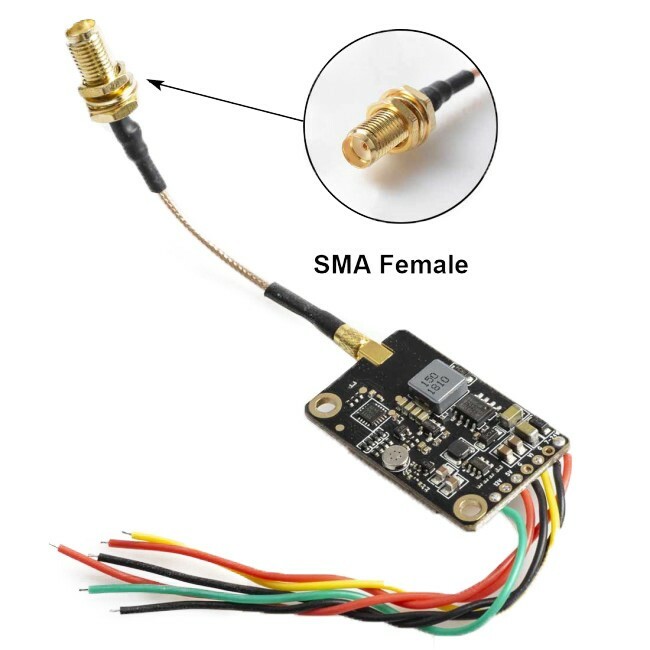 AKK FX2 ULTIMATE Mini VTX with Smart Audio. 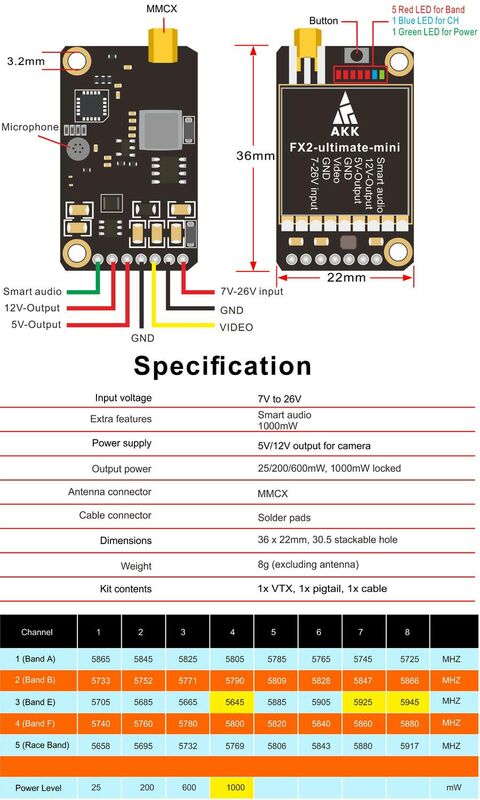 You can change channels and switch power output via OSD or Taranis LUA script. Unlock yellow selections by pressing button 8s until 7 LED light up simultaneously. Special unlocking procedure requires HAM license. All yellow selections will automatically locked each time the power turned off. The use and operation of this product requires an amateur radio license. Please apply license before purchasing and using this product.